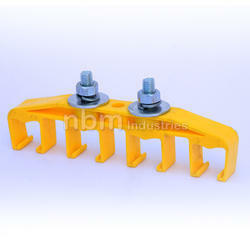 We are offering Pin Jointed Busbar System. 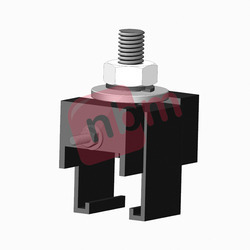 4 Pole Hanger Clamp Suitable for NBM-3 Pin Bolt Jointed Type DSL Busbar System. Our hanger clamp is manufactures from the Engineering grade plastic to assure long lasting performance. 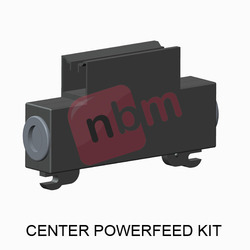 Suitable for NBM-3 Pin Jointed Type Crane Busbar. 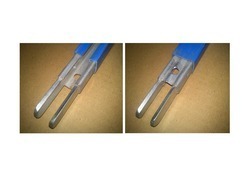 Anchor clamps are used for clamping the DSL bus bars fall proof protection. We are manufacturing Hanger clamps & Anchor Clamps for Bolt Joint & Pin Joint Type Crane DSL Busbar System. Our Anchor clamp is manufactures from the Engineering grade plastic to assure long lasting performance. Hanger clamps area available in 1 Pole. Bolt clamped type Anchor clamps are required at every 50 meter of DSL. 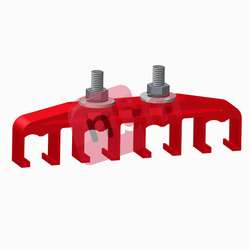 4 Pole Hanger Clamp – Suitable for NBM-3 Pin Bolt Jointed Type DSL Busbar System.